Paycheck Calculator or Salary Paycheck calculator is the tool used to calculate the take home salary per paycheck. The paycheck calculator provides complete salary information of the user. It helps in calculating both salary and hourly jobs by taking in to account of the federal and state, local taxes. 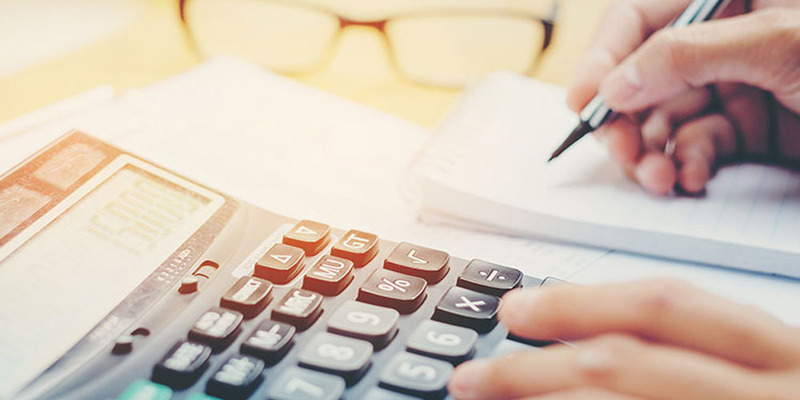 There are large number of websites and payroll agencies providing the Paycheck Calculators or Salary calculators to present the final data for the user. The calculator requires to key some information of the user to key in data i.e. State, job title, Period, Gross salary, taxes etc. to arrive at the final paycheck amount. Employees, employers and payroll agencies, generally use paycheck calculators /Salary calculators to assess the salary offer or calculate their income after tax deductions by federal income tax and Local taxes. Almost every state in the United States have difference in pay frequency for the employees as per the law. Each state established a minimum frequency referred as payday requirement. Some states set up payday laws either bimonthly where as some states are bi-weekly (every other week), but some states require monthly or weekly payment. Illinois and California pays the employees bi monthly, for workers in Kansas to must be hand over paychecks once in a month. Paycheck frequency in Michigan is decided by the occupations. A Paycheck is physical document issued by the employer to its employees for the services rendered for a specific period. Earlier it was in paper document form (a cheque) which is given physically to the employees with the attachment of other details. However, in recent times the electronic deposits to the employee bank accounts have replaced the physical cheques. 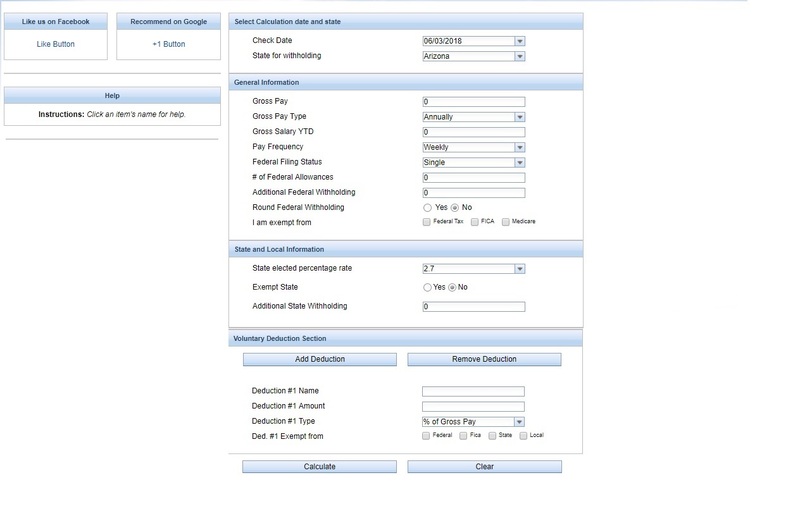 Even for electronic transfers employees continue to get the detailed calculations of the final payment through Paystubs (Pay Slips) electronically. Every country has its own Pay slip format of what to be included in that same, generally, gross salary for the period and the taxes and any other deductions of the employer and any other personal deductions such as insurance, pension contributions, charitable contributions taken out of the gross amount to arrive at the final net amount of the pay. The deductions play important role in the Paycheck tax calculator. It is mandatory to deduct Federal income tax and FICA tax withholding while calculating the Paychecks of the employees. There is no way to escape from these taxes unless your earnings for the period are low and you are exempt from certain taxes. It is common that every country has its own payment frequencies to pay the employees. In United States some employees receive monthly paychecks (12 paychecks in a year), in other states, employer issue bimonthly paycheck on set dates (24 paychecks per year) and others pay bi-weekly (26 in a year). The frequency of the paychecks will affect the paycheck amount the get. The number of paycheck in a year will result in the lesser paycheck amount they get assuming the same salary. In United State, each state has different tax laws. You can see the difference in each city or state you live you will see different paycheck amounts. Apart from the federal income tax, employer withhold part of amount from your paychecks for covering state and local taxes. The US president Donald Trump has introduced new tax plan in December 2017 in to law. The IRS has introduced new tax guidelines starting in the month of February 2018 and taxpayers have been educated by the amendments in their paychecks. However, as per the change in tax plans the IRS has not revised the W-4 form. Employers advised to use the withholdings on the current form. The IRS is working on the W-4 form revision to be available for Employers and employees, so that in the future it will better reflect the changes to the tax code. Taxpayers need not fill up the W-4 form for the time being. When a paycheck is released to an employee, the employer needs to withhold tax as per the legally required percentage decided by the government to pay as income tax. The Federal tax authorities collects withholding tax from employees throughout the year, by deducting directly from the monthly paychecks. The employer’s has to ensure to withhold this money based on the information provided by the employee in W-4 Form. Certain section of people are exempt from federal income tax withholding. To get exemption, you must satisfy both of the following criteria; Paycheck tax calculator helps you in determining the same. 1) If the employee received a refund in the previous year calculated from all of federal income tax withheld from your paycheck. As the employee has no tax liability pending from his side. 2) If the income is low in the current year the employee expect a refund from tax authorities because all federal income tax withheld and your tax liability also zero for the current year.Youcan mention the same in W-4 Form. At the time filing the income tax return, the I.R.S. can check your tax return for the withhold tax against the deductions from your employer. In case if you have paid huge tax amount previous year and do not want to pay again in the current year you can request a certain amount of additional withholding from each paycheck. You can mention the same of this amount in the W-4 Form. Apart from the income tax withholding the other main federal component of your paycheck, withholding is for FICA taxes (Federal Insurance Contributions Act). Your FICA taxes are your contribution to the Social Security and Healthcare programs that you will have access to when your age grows. It is the savings for you to pay in the system. 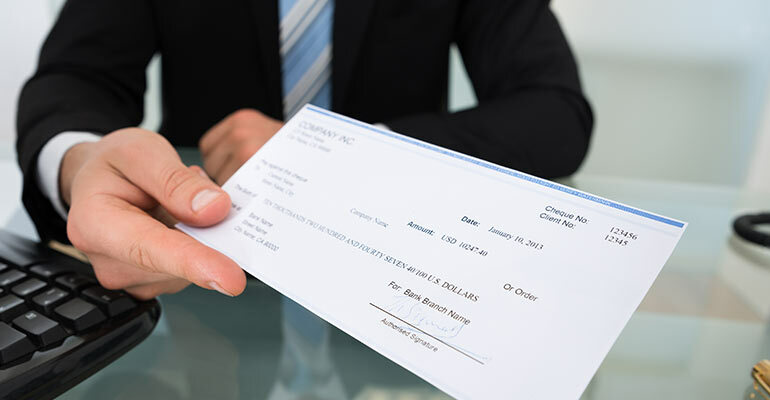 In olden days, the employees receive paycheck in a physical form; reminders, newsletter are attached to the paycheck and handed over to the employee in envelope. Nowadays all the Paystub and communications are sent through electronically to the employees. The paycheck stub shows the employee how much vacation time, sick time, or paid time off (PTO) was accrued during the period. Companies also outsource payroll services to third-party vendor such as ADP to process employee paychecks and they will send paycheck stub or Pay Slip through electronically. Employees have access to their records online on their websites. Paycheck stub also known as pay slip is a statement showing the details of the earnings and deductions of the employee and the tax to be paid or refunded during each pay period. Start date and end date of the payroll period. Gross pay: The total amount payable to the employee by the employer before deductions. Net pay: The amount payable to the employee after deductions. State taxes withheld the taxes to be deducted by the states separately. Local taxes: Any local taxes specially imposed by the states. Normally all the states will not charge these taxes. Any Insurance deductions by the employees. Many corporate companies have large number of employees. It is difficult to manage payroll and paycheck related queries, as the work force is limited. Paycheck calculators / paycheck tax calculator serves as platform between employers and employees. It provides self-service portals (ESS) that can be used by both. Paycheck City is the largest service provider of online paycheck calculator. It is not a payroll service company but customizes similar paycheck calculators for payroll companies for their websites with license. Companies and Individuals use the paycheck calculator for quick and easy solutions to their payroll Queries. 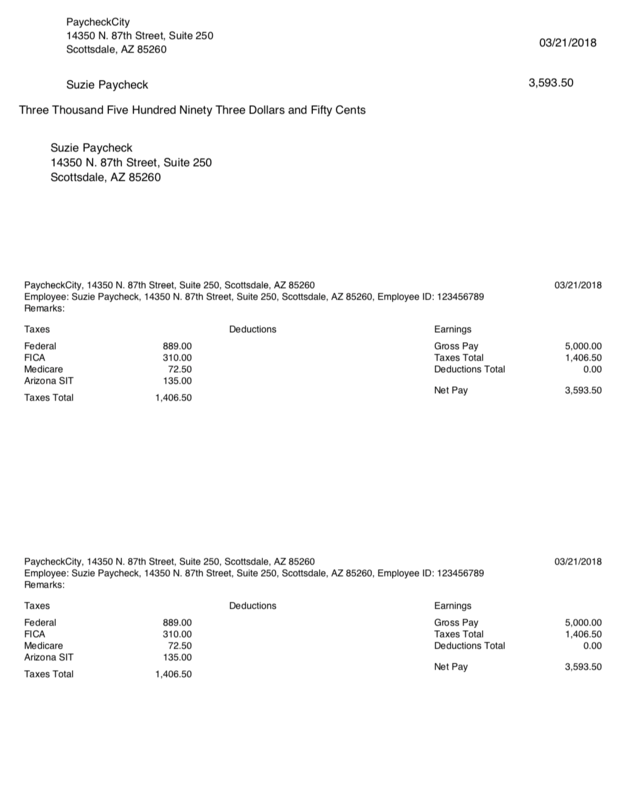 Paycheck City owned by Symmetry Software, Arizona, USA. It does not provide any private access to corporate payroll system or personal payroll data. . Paycheck City provides solutions for handling Employee Self Service portal (ESS) for organizations to handle employee paycheck related queries and makes it easier for HR /Payroll departments. PaycheckCity customized Paycheck calculators for state wise in United States as each state has separate Federal tax laws and made it easier for the user to input the data to get the required results. The user has to just input the data to arrive at the Paycheck amount after the deductions and exemptions. Below is the standard format used by the PaycheckCity to calculate your net pay or “take home salary” by entering your per-period or annual salary along with the Federal, State and local information. Check Date: Input the date from when the paycheck is to be calculated. State for withholding: Select the state where employee is working. Gross Pay Type: Enter the type of Gross Pay i.e. annually or Pay Period. Gross Salary YTD: Enter the year to date gross salary of the employee. Pay Frequency: Enter the pay frequency i.e.Weekly; bi-monthly or Monthly as each state have different pay frequencies. Federal Filing Status: Select filing status from the dropdown list i.e. Single, Married etc. No.of Federal Allowances: Enter the number of federal allowances during the year. Additional Federal Withholding: Enter if any additional withholding taxes paid during the year. State Elected Percentage rate: Enter the percentage of state suggested rate from the dropdown list. Exempt rate: select YES or NO from Exempt rate. Apart from the commonly used paycheck calculator, Paycheckcity also customizes calculators for corporate companies and payroll agencies enabling users to access anywhere. Paycheck city introduced Paycheckcity plus. PaycheckCity Profiles is an online application tool, which quickly build customized calculators, which calculates, store and email accurate paycheck calculations and reports. 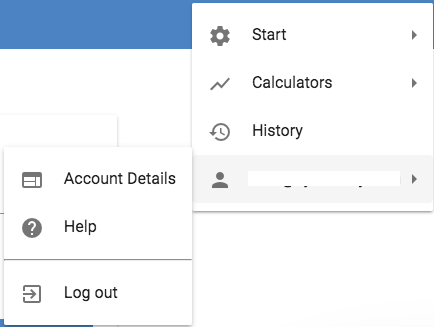 It build custom calculators, save the data for faster calculations, and keep track of your calculation and report history. PaycheckCity Profiles is the Key tool by PaycheckCity as the leading paycheck calculator website with over 18 years of experience with customization of calculators, which save time and effort for repeated calculations without commercial ads. PaycheckCity Profiles is ideal for small organization, which have number employees who wish to calculate gross to net calculations, save them and print the paystubs in future, for payroll specialists who help employees with their paychecks calculations and use of Paycheck tax calculators for arriving at withholding taxes. PaycheckCity is a free website offering a variety of paycheck calculators for the common users. They offer a rich library of solutions related to Paycheck calculations for small and medium businesses, payroll Specialists. Whereas, Paycheck City Profiles gives an ad free experience and special features compared to the free PaycheckCity. These include the ability to customize calculators with pre-set profile, company, and deduction information, a variety of reporting options, and the ability to save calculations and reports in your history. PaycheckCity Profiles is offered for an annual subscription fee starting at $19. Pre-defined individual, employee, scenario and company information in your settings. Customize your print options for each profile. Paycheckcity Profiles help the organization’s Payroll with the deductions and the right tax exemptions for each employee. Then group your deductions together sets to appear automatically in the calculators when you choose. The user need not enter data repeatedly. Paycheck City Profiles allows preset your requirements i.e. salary, hourly, bonus, gross up calculators and 401K and calculate. User need to change the variables like pay rate, hours, withholding settings, deductions, etc. Online link for the login, always use this link https://profiles.paycheckcity.com/. Open account with Email address, this is the master email address and you cannot change afterwards. You will receive Verification Code each time you log in, this provide the security and you need not remember any passwords. For creating profile, navigate to settings in the menu bar and select profiles and then click on the add profile button. Enter the profile name and give employee information i.e. name and address of the employee. Click on “save” to create profile. Your profile has been created, you can run a calculation by just selecting the profile, select the profile for the scenario you are running and all of the data automatically populates into the calculator, saving you time and effort. If you want to edit the profile once it has been saved, simply navigate to the profile, change or update the information desired, and click, save. Name of the company is created when creating Pay slip for some work locations where local taxes applicable. This is optional not needed for Calculations. EIN (Employer Identification Number) also known as a Federal Tax Identification number. Location information of company including, Address, City, State, and Zip Code. Then, click on the add a company button. The company has been created and you need to select the company if you are running the scenario all the company information automatically loads saving time and effort of the user. You can add employees to the company profile in PaycheckCity Profiles. However, you can build profiles for each of your employees and a company to represent your company. Then, each time you run a calculation, you must select both the profile and the company that you wish to use in your calculation. Deductions in the paychecks are optional, because some employees may not have earnings to deduct tax. Tax Deductions are amounts withheld from a paycheck that lower taxable income such as 401(k), medical or dental benefits, health savings account, etc. Use this In order to use your deductions in the calculators; you need to add them to a Deduction Set. Visit this article to learn how to add deductions to deduction sets. Now when you are doing a calculation you can populate a calculator with the desired deduction, saving you time and effort. If you have a onetime use for a deduction and do not want to build a deduction set, you can add the deduction under the “Voluntary Deduction Section” of the calculator for a one-time use in a calculation. In order to do so, make sure that your “Deduction Settings” are turned on to display deduction fields in the calculator in your Application Settings. Your Application Settings are found in the Start menu. How do I create a deduction set and add custom deductions to it? Deduction sets allow you to group deductions together so that they all appear in the calculator. They are optional and not needed for any calculations. In order to make a deduction set; you will first need to make an individual deduction (link here). After doing so, navigate to your start button and then choose “Deduction Sets” from the drop down menu. This is where you will group together your individual deductions. Next, you will want to name your deduction set. Right below the deduction set name you can choose what deductions you will want to include in the set. Click the arrow in the “Deductions” bar and choose the appropriate deductions for the set. Once this is complete, make sure to click “Save” in the “Deduction Set” header. Now, when you run a calculation you can choose the desired deduction set and the calculator will automatically populate the information and make the right calculation. This video steps you through the process to create deductions and deduction sets. Difference between a deduction and a deduction set? A deduction meaning the amount of tax withheld from a paycheck that lowers the Income. Once you create and set the deduction you need not select each time you calculate a paycheck. In case you have more deductions, create all the deductions and add them to one deduction set. It means group of deductions called as Deduction sets. This set will appear in the Calculator and you can select when you are calculating the paycheck. It saves time and effort of the users. You can save calculation in PaycheckCity Profiles. It allows simple steps to save and retrieve calculations for future reference. Navigate to the menu bar in the top right corner of the application to save calculation and click on “Calculators.” Choose the calculator that best fits your use. Choose the correct calculator, enter the information into the data fields. Remember, you can use your stored profile, deduction sets and Company information to pre-populate fields to save you time and effort. You will see the results page. Click on “Save in History” to save the result. You will be notified with a confirmation message that the calculation has been saved. In order to see the saved calculations, click on History from the menu bar. In the History, you will see a list of all of your past saved calculations along with your saved reports. PaycheckCity profiles allows easy to print options, after the calculation is completed, it will redirected to the results page. You can find the print icon and click to print the same. From the results page you can save your calculation by clicking the heart icon. If you do not want to print immediately, you can save and print it later from history. If you click on “Print Options,” a new window will appear. This is where you will enter the appropriate information about the report or check, such as check number, report style, and addresses. In order to print, click “View.” A new window will appear with your report. From here, follow the general protocol for printing in your browser. 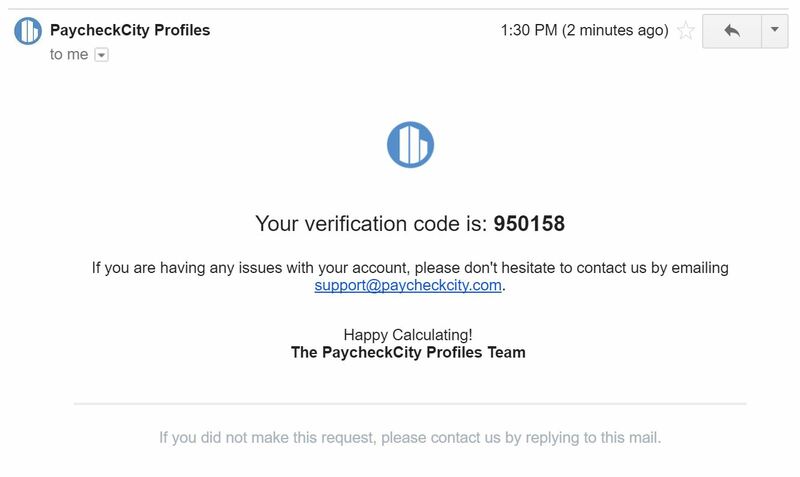 PaycheckCity Profiles allows you to view and print a paycheck or pay stub from calculations, for this you need to check the correct print settings. After you input the data and completion, you can see a “Print Options” at the bottom of the calculator. Click on the “Print Report?” choose the desired format for your paycheck–check on top, in middle, or on bottom. From here, you will be brought to the results page from your calculation. The “View/Download Reports” section in the middle of the results page will list your available paychecks and/or reports. 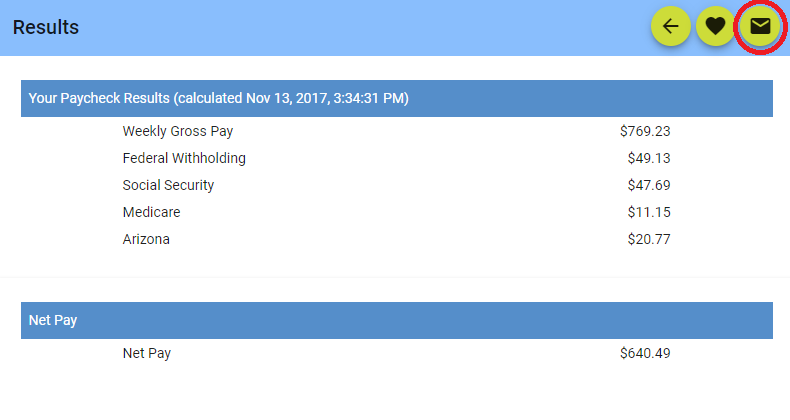 Click “View” to view your paycheck in a new window or click “Download” to download and save the paycheck to your computer. Both of these options will work when it comes to printing. Simply follow the protocol as you would normally for printing on your device. You can also click “Save in History” to save your paycheck to your History for future reference. This quick video walks you through the process to view and print a pay stub. In the Application Settings turn on email settings. Click the “send email” button from your calculation results. To email yourself a report or calculation results, you first must set up your master account email. To do this, go to “Start” > “Application Settings” in the menu bar. Once on the “Application Settings Page,” fill in your preferred email address in the “email” field. A user can send the email of the result of the calculation to his email ide, click on the “email” button on the calculations results page. An email will sent to you of the results to the email address you have in your Application Settings. If you have your print options turned on, you will see your report(s) in the middle of the page in the “Reports” section. Click the “email” button to email your report. Create a profile with the employee name and save employee’s email address within the profile. Turn on your email settings in your Application Settings. Please make sure your email settings are turned on by navigating to your Application Settings in the Start menu from the menu bar in the upper right hand corner of the application. Enter an email address to serve as the “master email address.” Any time you email a calculation or a report it will go to this email address. Intuit and Deluxe style checks are available on our platform. Specifically, Intuit QuickBooks Voucher and Deluxe check T104 are two of our more popular check formats available to all users. You can access these checks by following the normal path for printing on Profiles. If you do not need a specific report or check format, use the standard options in the “Print Options” window on the calculator results page. These basic printing options include check on top, check in middle; check on bottom, and earnings record. You might be familiar with these formats as they are the versions on PaycheckCity.com. You can also print Deluxe style check in PaycheckCity Plus. When running a calculation you will see the “Print Options” field at the bottom of the calculator. Select from the drop down menu the type of report you wish to print. The available options are Intuit QuickBooks Voucher and a number of Deluxe style checks as you can see below. We also have basic check on top, check in middle; check on bottom, and earnings record options. If you have selected a Profile and Company at the top of the calculator, all of the details for your report will automatically populate according to the data you have in your selected profile and company. If not, you can manually enter any additional details for printing such as an employee name, check number, etc. Your report(s) will appear in the “View/Download Reports” section of the results page. In order to print the results, click the “view” or “download” button. You will now have a report or pay stub to print. If you downloaded the results, open the downloaded file. If you chose to view the results, a new window will appear. For either approach, follow the printing protocol according to your browser and operating system to print. Below you can see a sample of how your Deluxe check will appear upon printing. Printing a QuickBooks Voucher check in Profiles is easy. When running a calculation you will see the “Print Options” field at the bottom of the calculator. Select from the drop down menu the type of report you wish to print. The available options are the Intuit Quickbooks Voucher and a number of Deluxe style checks as you can see below. We also have basic check on top, check in middle, check on bottom, and earnings record options. Below you can see a sample of how your QuickBooks Voucher will appear upon printing. PaycheckCity Profiles has three different plans with unique features. It offers Ultimate, Platinum and Premium and standard plans. Providing best user experience for the payroll professionals, small business owners, and individuals. Below details of the plans offered by PaycheckCity Profiles with a low yearly price. Login to PaycheckCity Profiles is easy, Please visit this webpage. Click the “login” button to access our password-less sign up and log in process. Enter your email address and click the sign up/login arrow. You will receive an email from PaycheckCity at the email address you entered with a code. 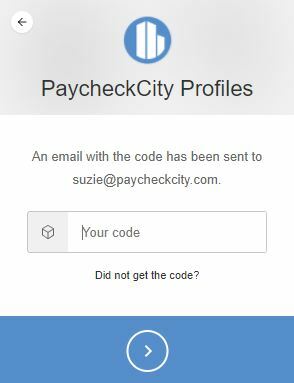 Input your code into the next screen and click the arrow to access PaycheckCity Profiles. Email addresses are used in two ways in PaycheckCity Profiles: 1. For sending calculation results and reports; and 2. For logging into PaycheckCity Profiles. Navigate to your Application Settings in the Start menu from the menu bar in the upper right hand corner of the application. Edit the email address in the “master email address” field. Now, any time you email a calculation or a report it will go to this new email address. To change employee email addresses, visit the profile associated with that employee and update the “Employee Email” field with the new email address. Click save to record your change. 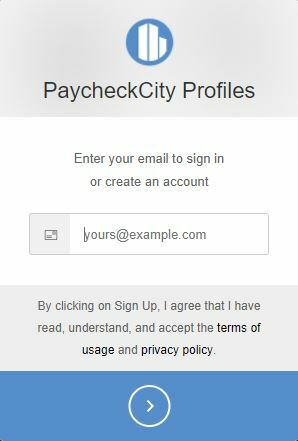 Once you log into PaycheckCity profiles with your email address (2.) you are unable to change your email address. Your bank declines the payment based on your spending habits, account balance, or card information like the expiration date and CVC. Your payment is blocked because it was identified as high-risk. Double check that you entered your credit card details correctly (card number, expiration month, year, and CVC) and that all of the details on the payment form are filled out. If your card is still declined, try a new card or contact your credit card company by calling the customer service number on the back of your card. The user can upgrade or downgrade at any point of time, here are the details. 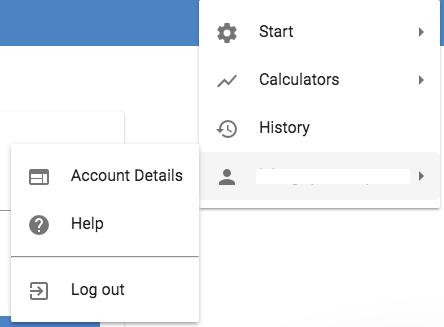 Navigate to your “Account Details” page by clicking on your account email from the menu bar in the right corner of the application window. From here you can edit your payment information and change your subscription plan. A pop-up window will appear with the option to choose between the two plans you are currently not enrolled in. Choose the plan the new plan that you want to change, a window will appear confirming your choice to change the plan. Click “Upgrade Now” or “Downgrade Now” to confirm your choice. PaycheckCity Profiles is set up to auto-renew on your annual renewal date. You can find your renewal date by navigating to the main menu of PaycheckCity Profiles, and selecting your name, and clicking on “Account Details.” Your renewal date is listed under “Subscription Information” on the Account Details page. PaycheckCity Profiles accepts almost all credit and debit cards, including Visa, MasterCard, American Express, JCB, Discover, and Diners Club cards. PaycheckCity does not accept payments in foreign currencies. If so, click “Yes, cancel.” Your subscription will then be canceled. Once you have canceled your subscription, you will no longer be able to run calculations, create profiles, companies, deductions, and deduction sets, or create and save reports. However, you will still have access to your history and will be able to log into your PaycheckCity Profiles account to view your history. Before canceling, please note that you will not be able to reactivate your account and your initial payment will not be refunded. You will need to create a new account should you wish to subscribe again. Moreover, the user will not get any refund for the cancellation of Subscription. 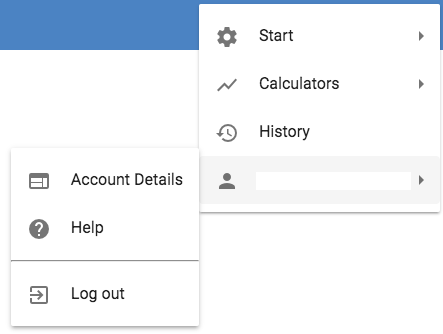 You can also view your current subscription information within your Account Details, which includes your plan, calculation limit, current calculation count, renewal date, and lifetime calculation count. To edit or change your payment information, click “Edit payment info.” After entering your new credit card information, click “Update card” to save the new data. If you would like to change your plan, click “Change plan.” You will then have the option to choose between the two plans you are currently not enrolled in. If you would like to upgrade your plan, for example from Standard to Premium, the prorated amount will appear. If you would like to downgrade your plan, for example from “Ultimate” to “Premium,” you will receive a credit to your account. A confirmation window will appear after selecting the desired plan to confirm your choice. Click “Upgrade Now” or “Downgrade Now” to confirm. Do they collect my personally identifiable information? Personally, identifiable information (PII) is any data that could potentially identify a specific individual. Some examples of PII are full name, social security number, date and place of birth, mother’s maiden name, etc. PaycheckCity does not store any credit card information or user names or passwords. Is PaycheckCity’s credit card processing secure? Paycheck City’s credit card processing is PCI DSS compliant and is powered by Stripe. PaycheckCity does not have access to your credit card data during your transaction, nor do we store your credit card details. Our PCI compliance is validated annually with an SAQ A provided by the PCI Security Standards Council. Paycheck City cannot be accessed on mobile as the calculators are customized in such a way that it can be accessed any device i.e. Desktop, Laptop, Tablet or mobile. Paycheck City has dedicated team to handle user queries. The user has to click on the chat button on the lower right hand corner of the screen. Enter your request or question and the team will get back as soon as they receive the request. The user must provide us the email address to send the notifications even if they are not logged in to Paycheck City. The users can also get in touch with the help center.